Draycott Hotel 5* is a lovingly restored red-brick Edwardian hotel, situated just around the corner from Chelsea’s fashionable Sloane Square. 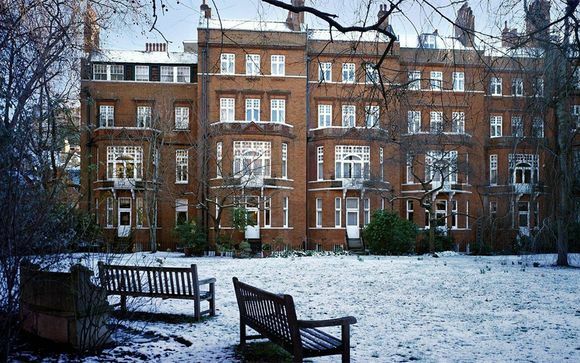 You are just a stroll away from "must see" sights including The Natural History Museum and the Victoria and Albert museum. 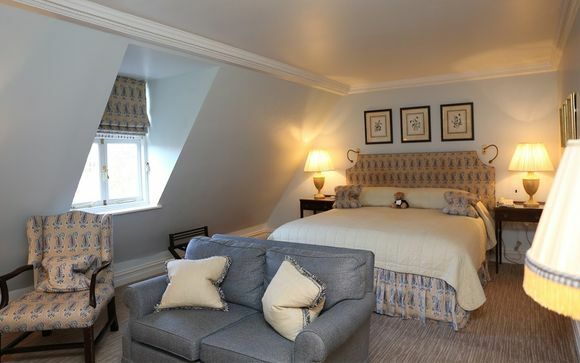 Our members can choose from a Superior Room or Deluxe Room, two elegant spaces perfect for your London getaway! Since the Great Exhibition in 1851, Kensington has been devoted to the arts and sciences. The Royal borough of Kensington has become one of the most popular areas of London and is full of fascinating and exciting tourist attractions, such as the Natural History museum, Science museum and the Victoria and Albert museums. These world renowned establishments are all just a stroll away from the Draycott Hotel. Chelsea is littered with a number of exquisite small art galleries and interesting museums such as Leighton House and Liney Sambourne House which are all worth exploring. Chelsea is proud to be home to the Chelsea Royal Hospital with its famous and iconic pensioners and the beautiful Chelsea Physic Garden. 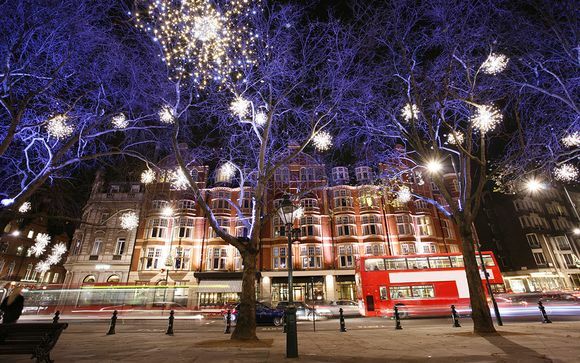 The West End, Theatre land and the Business centre are just a short taxi ride away as well, and with famous shopping establishments such as Harvey Nichols and Harrods just a 10-minute walk away, there is no better place to stay for a trip to London. This beautiful, lovingly restored red-brick Edwardian hotel is situated just around the corner from Chelsea’s fashionable Sloane Square and the beautiful borough of Kensington, making it the perfect location to explore everything London has to offer. 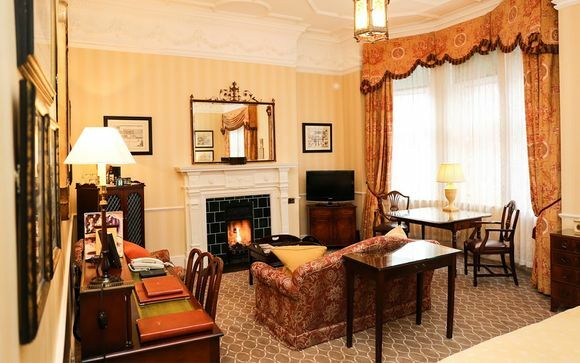 The Draycott Hotel offers luxury accommodation with traditional old age elegance and quintessentially British luxury within a peaceful city retreat. Each room is theatrically themed and adorned with Edwardian antiques, reflective of its theatrical namesake. Be it Sheridan, Coward, Grenfell or Ashcroft, each room contains something reminiscent of times gone by, whether that be a photograph or biography. Working closely with interior designer Rupert Lord, the design team started with a historic and original fabric that dates back to the hotels legacy as a reference, with each room featuring something that reflected the name bearer’s theatrical personality. You may choose from a Superior or Deluxe Room. At 31m² these doubles are slightly smaller and cosier than a Deluxe Double, but still with all the comforts one would expect from a 5* Townhouse Hotel, such as AC, complimentary Wi-Fi, Satellite TV, DVD & CD and minibar. These rooms are spacious at 35m², and are traditionally decorated, each in their own individual style. Features may include an open fireplace or a freestanding roll top bath, for a feeling of luxury and induglence. Begin your day with the delicious breakfast buffet each morning, then explore the wealth of restaurants the capital has to offer in the evenings. 24 hour room service is available, and the hotel also specialises in a fantastic Afternoon Tea. Staff will be happy to recommend and book restaurants on your behalf. Public Transport: Your hotel is just 4mins / 350m from the tube station Sloane Square which is on the Circle and district line, the same line as attractions such as Notting Hill Gate, Westminster, The South Bank (Embankment) & Kings Cross.